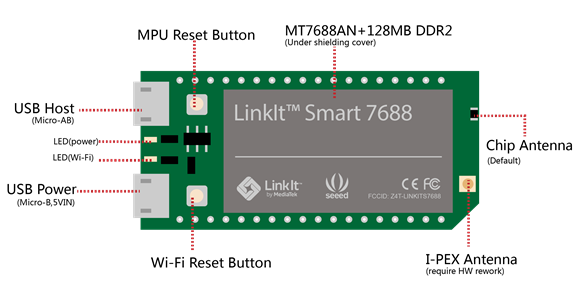 LinkIt Smart 7688 is an open development board which is based on OpenWrt Linux distribution and MT7688. 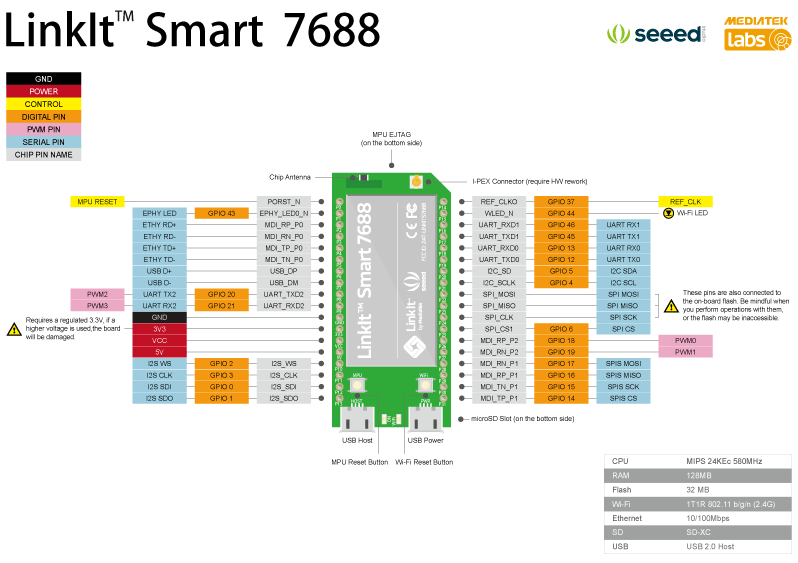 The board is designed especially to enable the prototyping of Rich IoT Application for Smart Home. 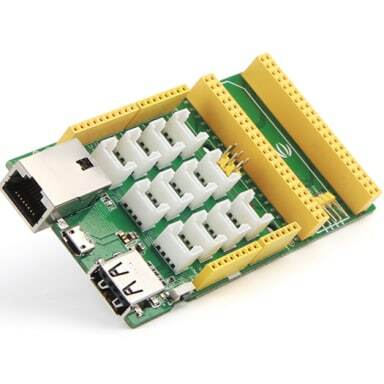 The board offers you the memory and packet storage to enable robust video processing. 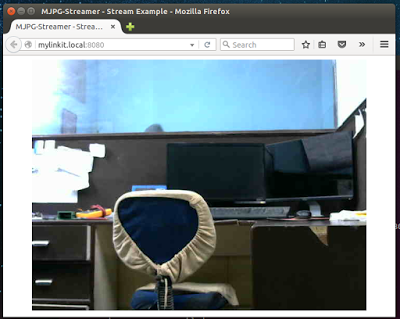 The platform also offers options to create device applications in Python, Node.js and C programming language. 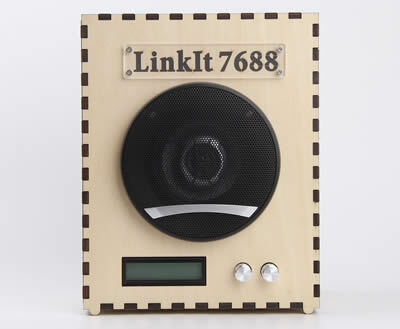 LinkIt Smart 7688 is a co-design product by Seeed Studio and MediaTek. 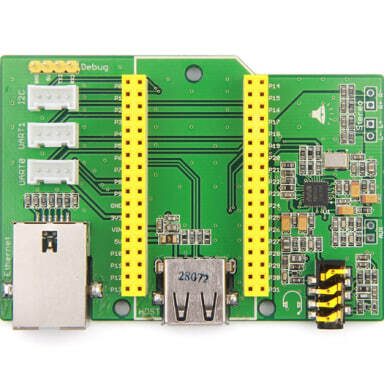 It brings together the parties' knowledge in open hardware and industry leading reference designs for IoT devices to create this powerful development board. 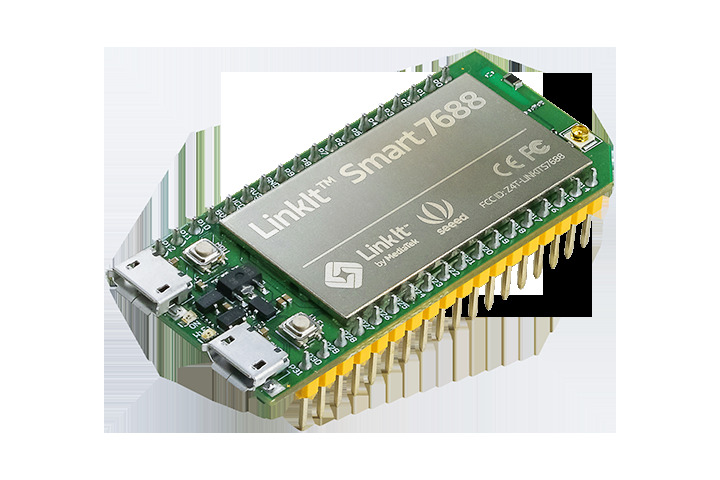 LinkIt Smart 7688 is fully supported on the MediaTek Labs site: check out the LinkIt sectionandregister here to download the SDK, participate in the Forums, and more. 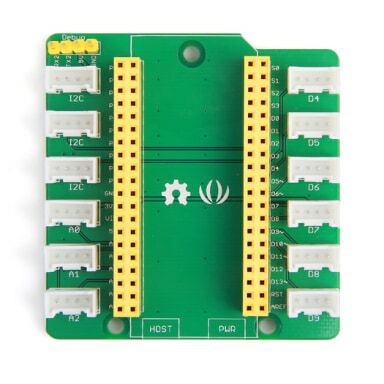 In order to protect the product from improper operation, please pay attention to below notes. 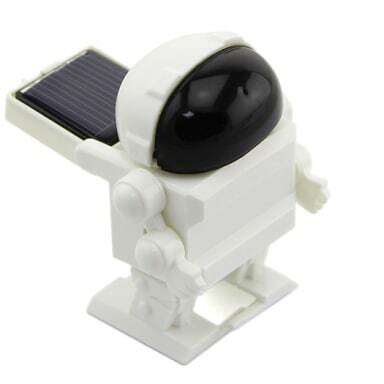 Choose more reliable power adapter with stable output. 1. 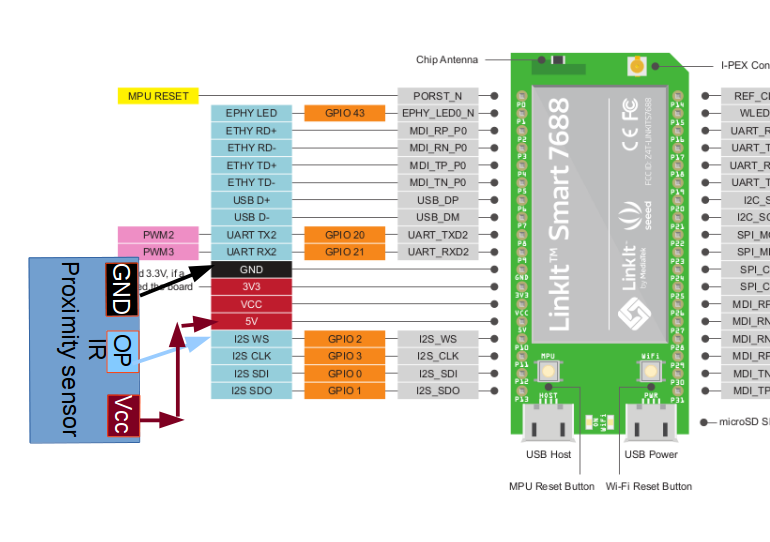 Overshoot voltage of power input should not over 5.5. 2. 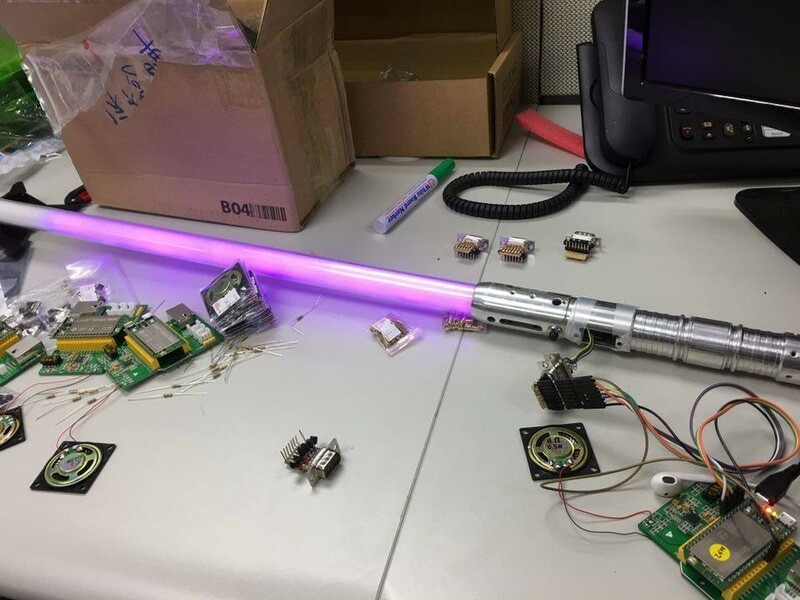 Voltage wave should be within ±100mV of rated voltage. 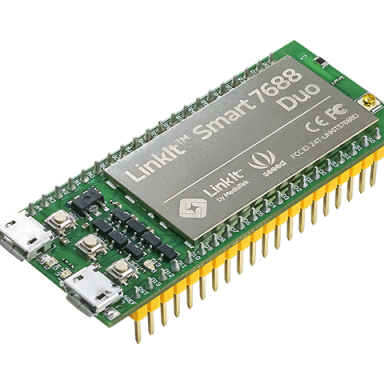 LinkIt Smart 7688 (a compact controller board) is an open development board, based on the OpenWrt Linux distribution and MT7688 (datasheet). 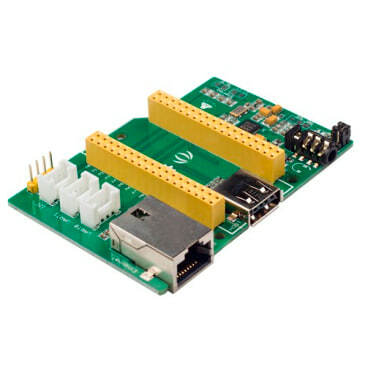 The board is designed especially for the prototyping of Rich Application IoT devices for Smart-Home.